Imparting Industry relevant management education has always been the topmost priority of IIM Indore. To enhance the existing Industry Academia Partnership, an Industry Interface Cell (IIC) has been setup at the Institute. The IIC has been well equipped to solve general as well as complex problems faced by the industries. The IIC provides a structured platform for continuous interaction with the industry. 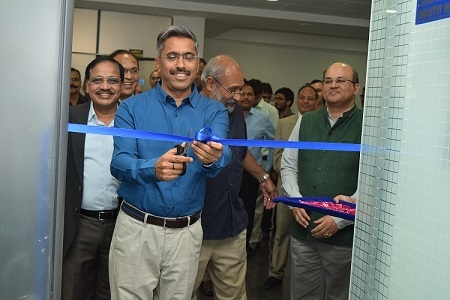 The Inauguration of the Industry Interface Cell took place on March 2, 2016 in the presence of Shri Sanjay Dubey, Commissioner, Indore Division, Indore. The event began with the formal lamp lighting ceremony. Professor NMK Bhatta, Chairman, Industry Interface Committee welcomed the guests and noted that the purpose of IIC is to make sure that the institute gets closer to the industry, so that whatever is taught to the students becomes more relevant and they start to feel more compatible when they actually enter the industry. He mentioned that the IIC plans to offer affordable consultancy to small industries and resolve their issues, as they can’t afford big consultants. This would be done with the help of either faculty members, students or the professionals who wish to volunteer for the same. ‘We also plan to start an activity called ‘Startup Saturday’ wherein people from government, entrepreneurs or professionals would be called to share their experiences and tell the students what could go wrong or what could help them in their business plans’, he said. 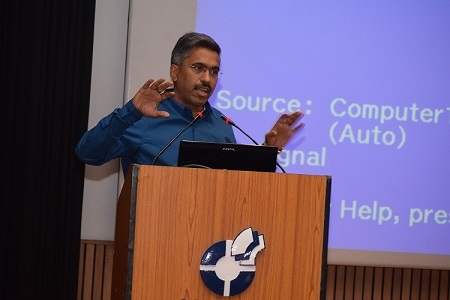 Professor Rishikesha T. Krishnan mentioned that IIM Indore aims at being contextually relevant and having world class academics, making sure that students are constantly linked to various industries and are aware of the tools which would help them when they enter the industry. This is the main objective why IIC has been created. He also noted that the institute now has five positions for Professors of Practice with 15-20 years of industry experience which helps the students to get to know the industry in a better way, learning from an experienced person. 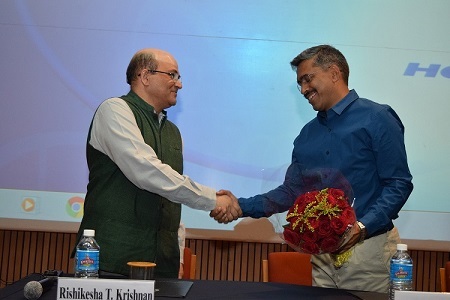 ‘We are hoping that IIT Indore and IIM Indore would be collaborating further, which would help us to create a strong industry interaction which has both technology and management’, he concluded. This was followed by a speech by Mr. Sanjay Dubey who noted that according to the industries; only 20 percent of the graduates are skillful and are capable of being employed. Since all this depends upon how closely a student knows an industry, all the institutes are trying to collaborate with some industry or the other, to help their students gain a practical knowledge. ‘After a two year course, when a student is placed, he realizes that what he had was just bookish knowledge. Industries today want graduates who are already having the basic knowledge about the work they would be doing. This cannot be achieved till the institutes collaborate with industries’, he said. 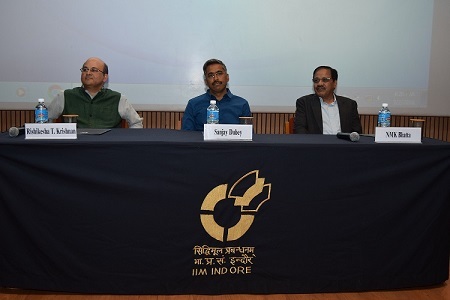 Mr. Dubey appreciated IIM Indore’s effort of establishing IIC and said that the knowledge repository which would help students learn about various companies should not only include success stories, but also failures, so that the students know what possibly go wrong. The event concluded with a presentation on Union Budget 2015-16 by Professor Ganesh Kumar Nidugala, Dean Academics, IIM Indore, wherein he discussed various aspects of the budget presented in the Parliament on 29 Feb 2016.